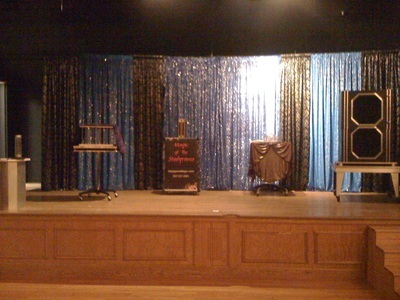 Stage magic shows are The Steelgraves' specialty! 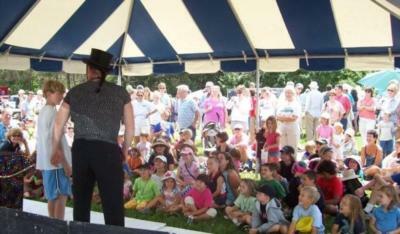 Shows can be 30-90 minutes long, and are tailored to fit your space, your event, your budget, and your audience. No stage needed--we can perform right on the floor! 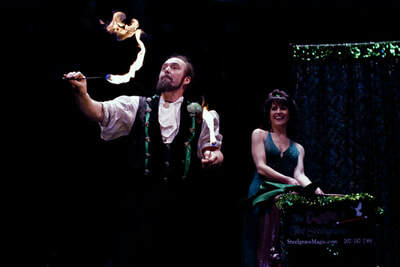 We bring the magic to your venue! Amazing, spectacular, and great for all ages! Rates vary depending on the style of show. Set-up time anywhere from a half hour for a simple program, to three hours for a fully-staged multi-illusion extravaganza. Contact us for details and technical requirements. 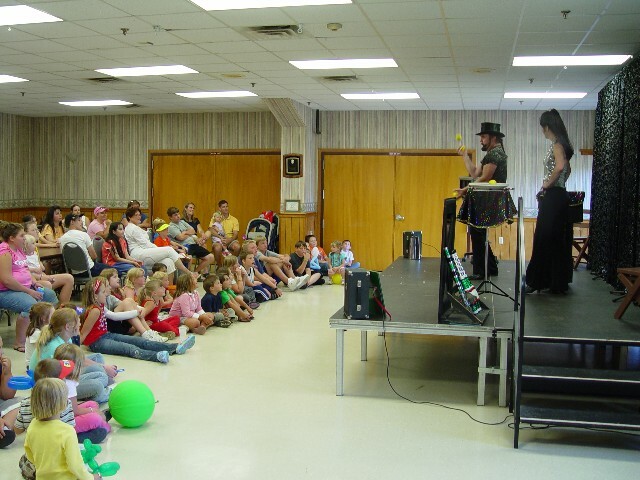 ​We've performed our dynamic magic shows for hundreds of corporate, civic, resort, family, and children's events, all over New England and beyond. 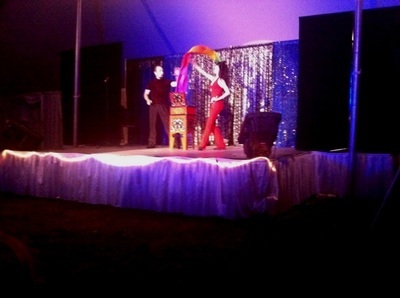 Performances can also be themed! For corporate groups, we can weave your logo, product, and/or company message into the show to help you reinforce the impact of the performance on your employees or potential clients . 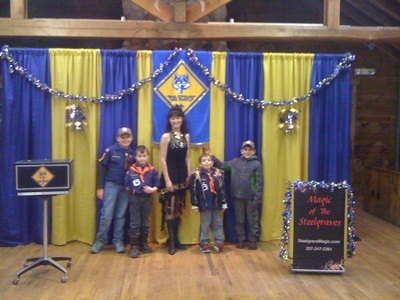 ​Since we have a background in theatre, specially-crafted shows are offered, and a lot of fun, too! Performing in "character", common selections have been ​Pirate, Wizard, Princess, and more. 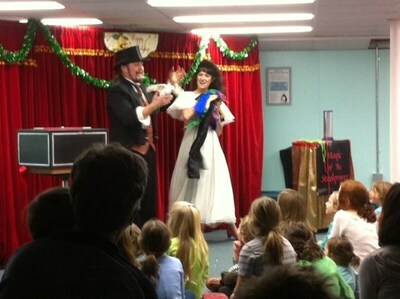 And of course, we offer seasonal performances for Halloween, Christmas, Birthdays, and more! 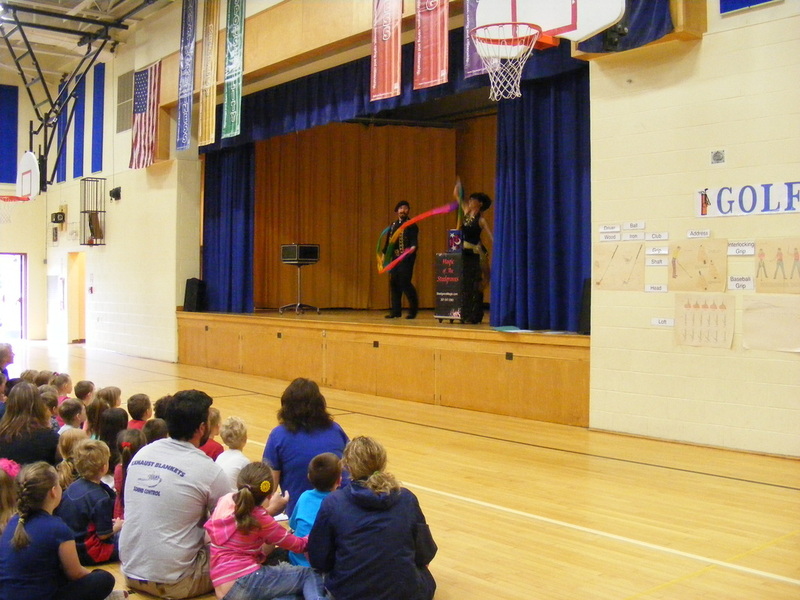 "You provide a well-polished blend of mystery and humor, amazement and amusement, appealing to kids and their parents alike. We look forward to a long and happy association with you both!" We perform about 250 shows each year. Based in Southern Maine, we travel just about anywhere (but only by vehicle). Call or e-mail right away; "We'll Bring The Magic To You!"